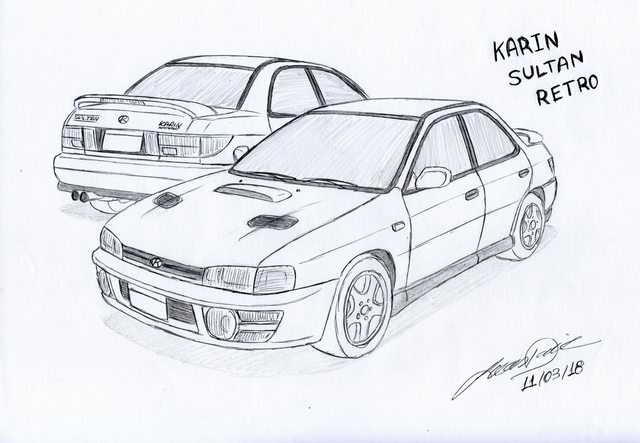 This Karin Sunrise is so beautiful, the headlights look like from the 3rd generation Acura Integra, nice little touch you put on it, congratulations !! 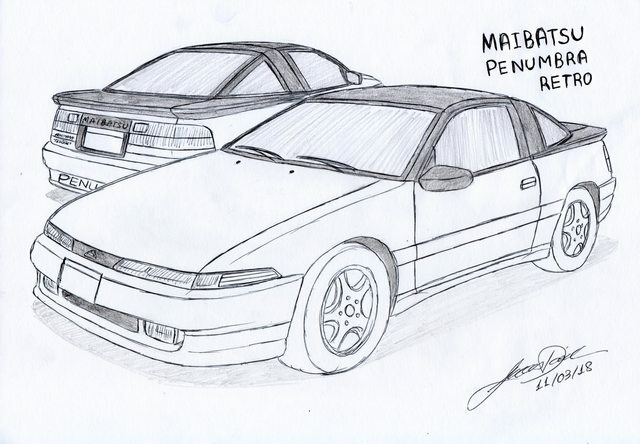 Indeed, the Sunrise headlights does resemble those from the Integra somehow! Yeah, I'm aware of that. 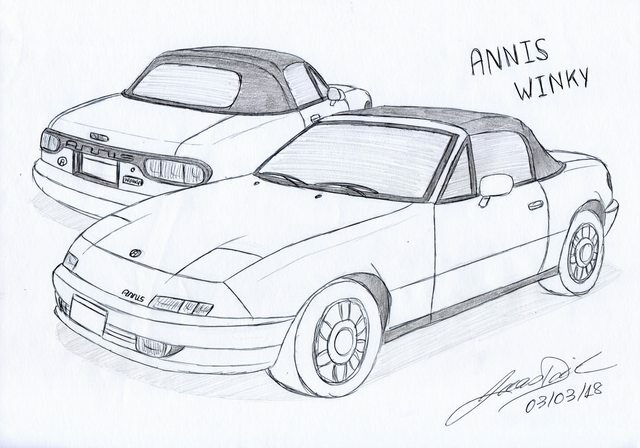 But I prefered to maintain the proportions of the RX-7. Goodness gracious. Those are beautiful. That Cabbie especially reminds me of the Mafia III analogue to the real car. I love how you took the lip on the Injection's rear and extended it to make the engine compartment. It's exactly what I figured the artists at Rockstar were suggesting with the model. I know I shouldn't... But, do you have any plans to bring a Land Rover Series II to life? 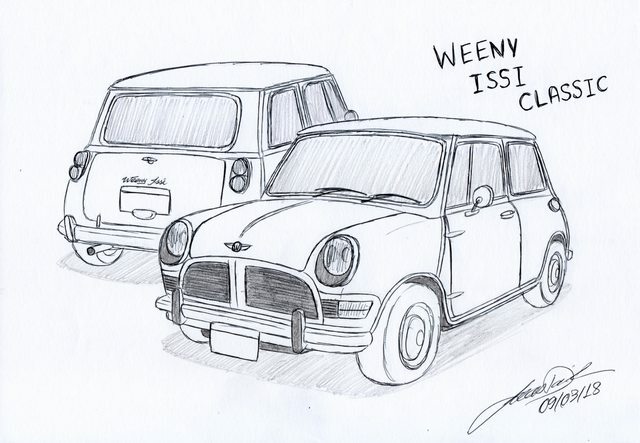 I think I would drop dead seeing even a sketch of a Series II in GTA. 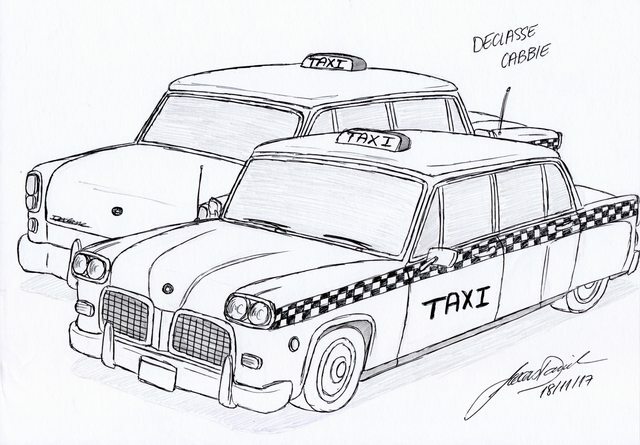 Yeah, the Cabbie does resemble the one from the Mafia III! 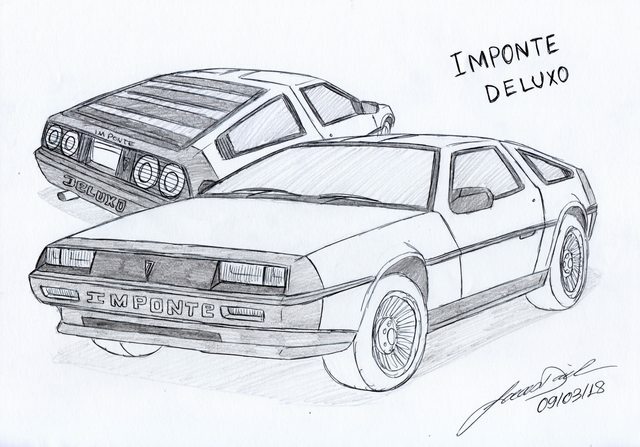 That's because I actually made it based on that Taxi, hehe. 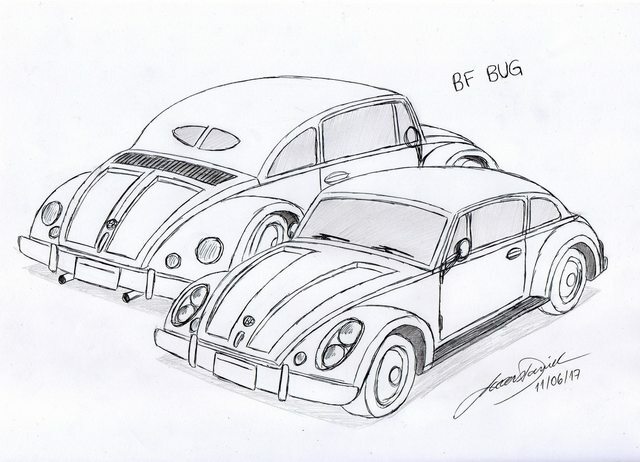 The BF Bug (and perhaps renamed as "Furzen" in the upcoming updated version) was quite hard to draw freehand because of the angle and shapes. 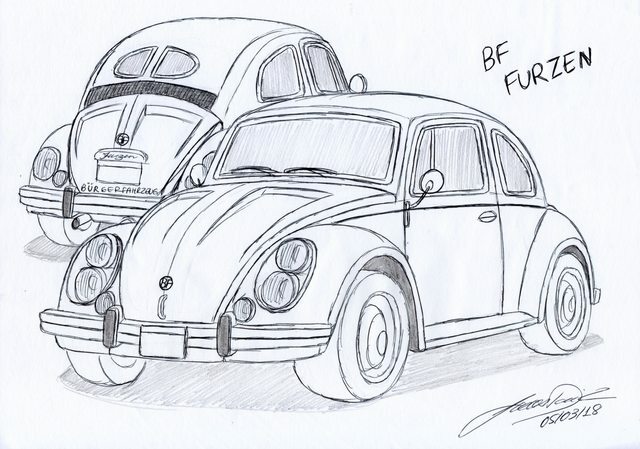 I was thinking in redo the fenders more rounded like the ones from the VW Beetle, but I'm still not sure about that yet... But it will retain the rest of the body based on the BF Injection and lights from the BF Surfer. Why you shouldn't?! 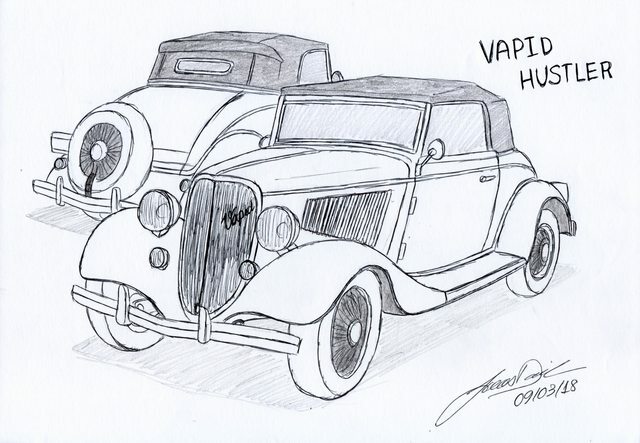 I do like suggestions for new vehicles! I'd like to make a Gallivanter model based on that Land Rover! The Series II always reminds me of a blue truck Lara Croft uses in Tomb Raider: The Last Revelation. 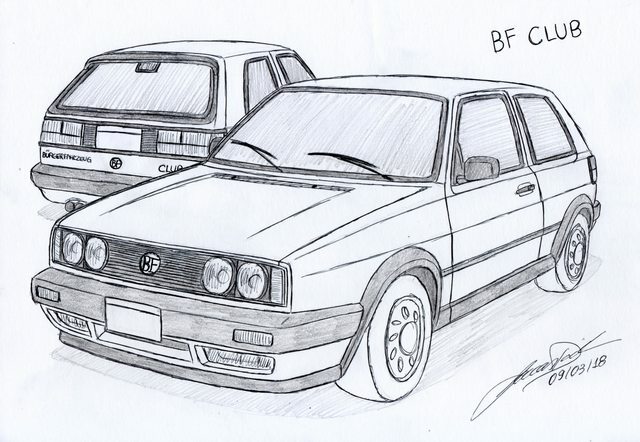 Now that's what I call quality drawings! Keep up the good work! 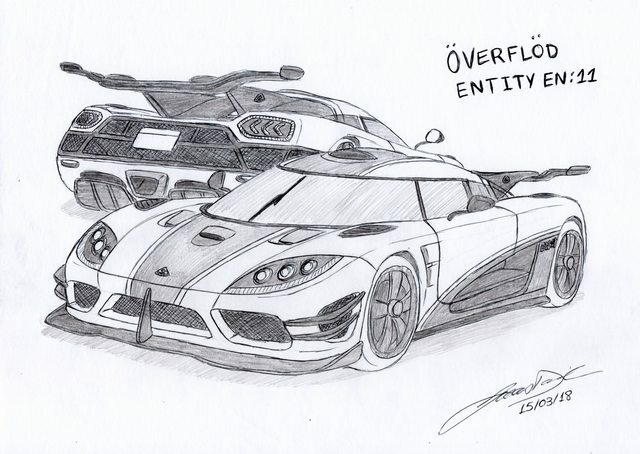 Just wanted to say that I love these drawings, definitely wish rockstar could make half the cars you've drawn. 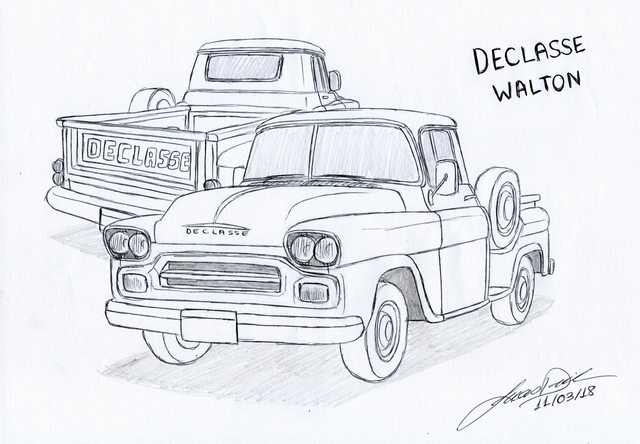 Just thought I'd post some random doodles I've done on some lore friendly vehicles, the first and last ones were basically my response to the trainwreck that was the revolter (my attempts to make it look more cts/ats like) and the other 2 are just some russian trucks that would be nice in game, the first one is based on an maz 535 and the second one is kind of a maz 7310 but with the cabin influences from the chernobog, then I added a sort of camper to the back because I always thought that would be neat. 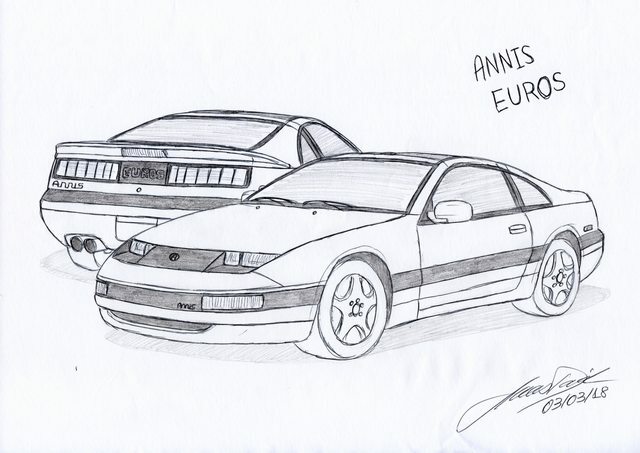 Nice sketches, by the way! 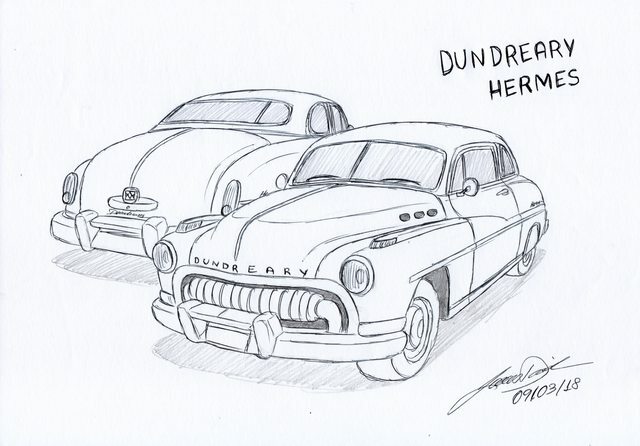 A few of these sketches remind me of the older days of when my father used cruise around town in a six speed Pontiac Fierro. Thanks for this moment. There's one models that's bothering me. The Cheval Tahoma. 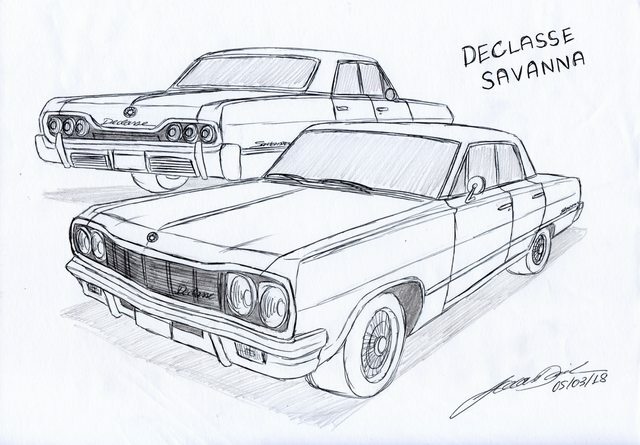 Maybe it could be reworked into a Holden Premier/Chevrolet Chevelle combination sedan? 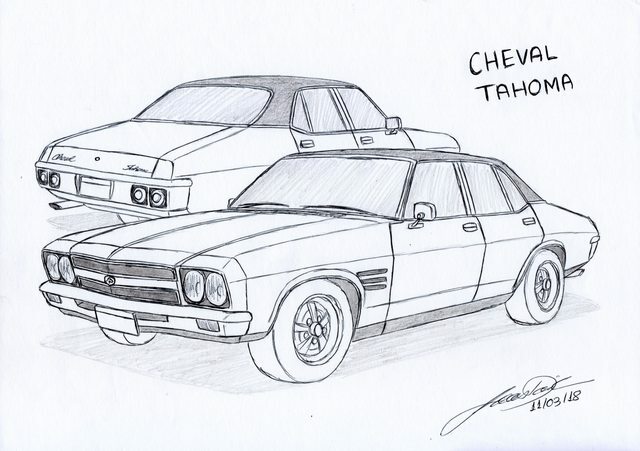 In accordance with the "Tahoma" name being used on a Monte Carlo/Pontiac Bonneville sedan mash-up, while still retaining the General Motors, Chevrolet+Holden inspiration. That's a good idea! Thank you very much for the suggestion! 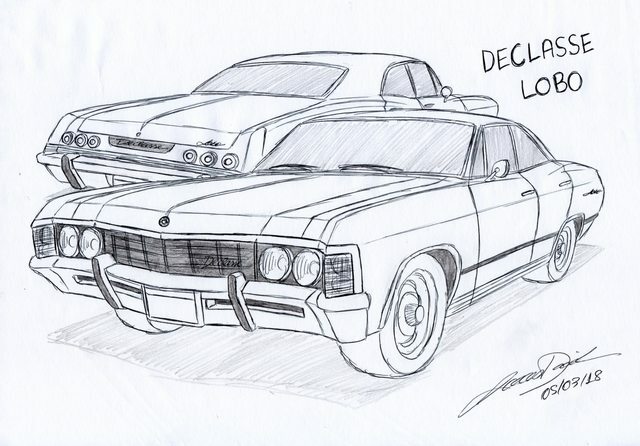 What a coincidence that you mentioned the Camaro, right now that I'm going to post the new version of the Vigero VL1! Although the 4th-gen models aren't fan favorites (as far as I know), I personally like them, especially since they brings me fond memories of Gran Turismo 1 & 2. I might do one after I update all my old sketches. 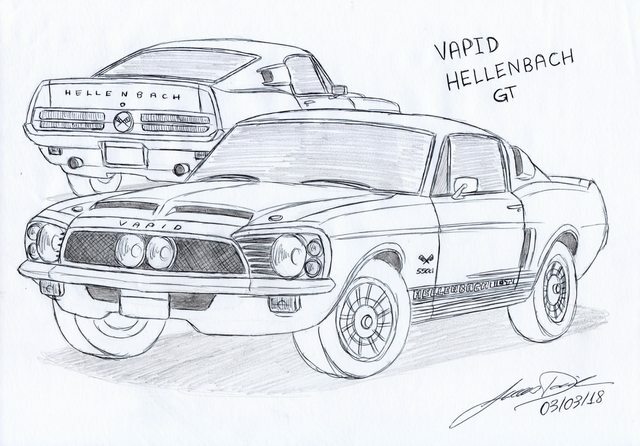 Yea I'm a big fan of f-bodies I always imagine what a 4th gen Vigero and Phoenix would look like but I'm sure you aren't doing those anytime soon but I hope to see what they look like keep doing your sketches there amazing!! 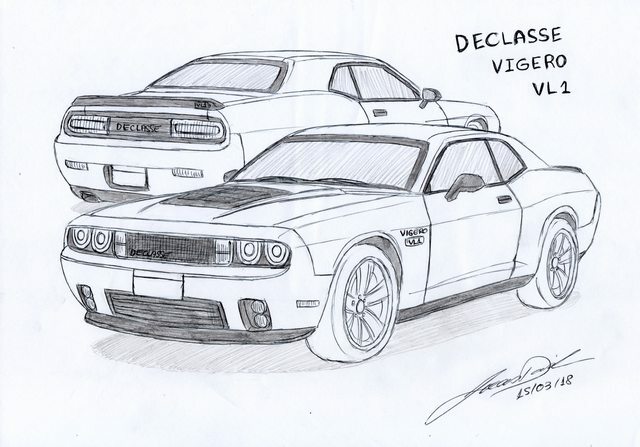 Just gonna say the vigero could definitely be a lot more camaro like, the way you drew it made it look like a carbon copy of a challenger. 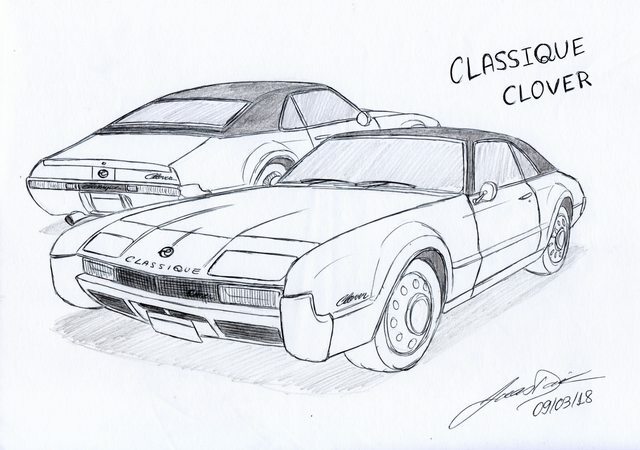 Maybe give it a more camaro like grille shape or something like that, but that would be cool for an updated and improved gauntlet. Well, although the Gauntlet is based on the Challenger, it does have many Camaro details. So I decided to make a modern Vigero by doing the opposite. 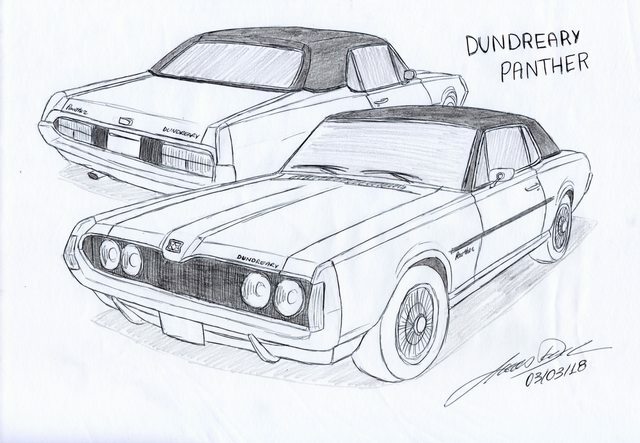 Based on the Camaro, but with many Challenger details. But I do agree with you! I might do a new version some other time. Oh boy would I love to see this added to the game one day. Fab work btw, keep it up! Oh my god. I'm in love. 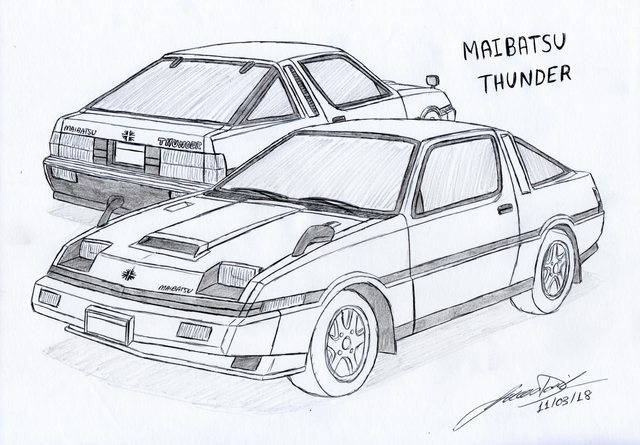 R*, please make these JDM cars a reality! If I had to pick a daily driver, it might be the Sultan Retro by a hair! 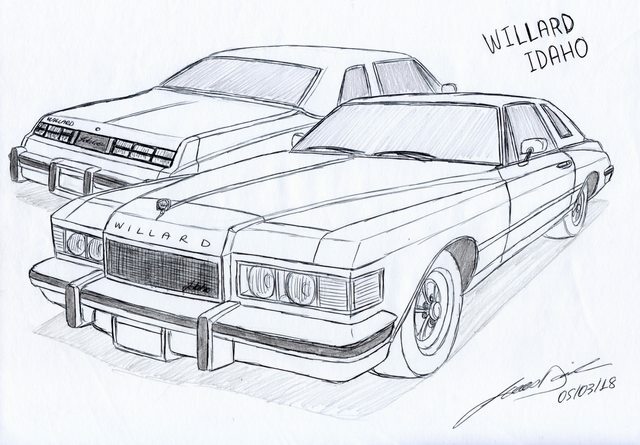 Not only these, but all of your drawings are absolutely phenomenal, as well as creative! 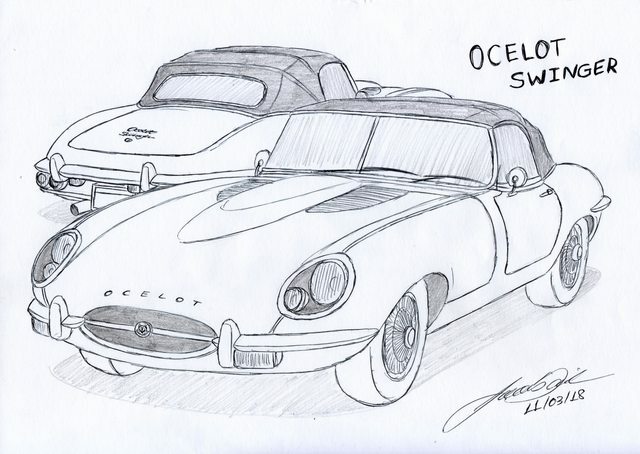 How long does it take you to do these drawings, to conceive ideas etc?